In true iFixit fashion the team have this week taken their toolkit to the new Google Home assistant which has recently launched throughout the US priced at $130. Providing competition to the already available Amazon Echo the Google Home provides similar features using the Google Assistant service and can be used to control a wide variety of smart home devices. Although at the current time not quite as many as supported by the Amazon Echo hardware which uses the Amazon Alexa service. – Minimal moving parts means there are minimal points of failure. 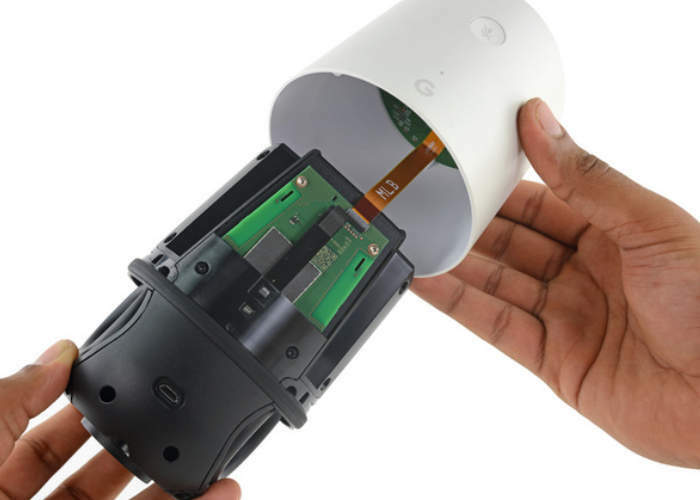 – Only standard screws and connectors are used throughout the device. – Many components are modular and can be replaced individually. – The DC-in port is soldered to the motherboard, but is unlikely to experience much wear, considering the device stays plugged in. – The touch board is strongly adhered to the upper case. 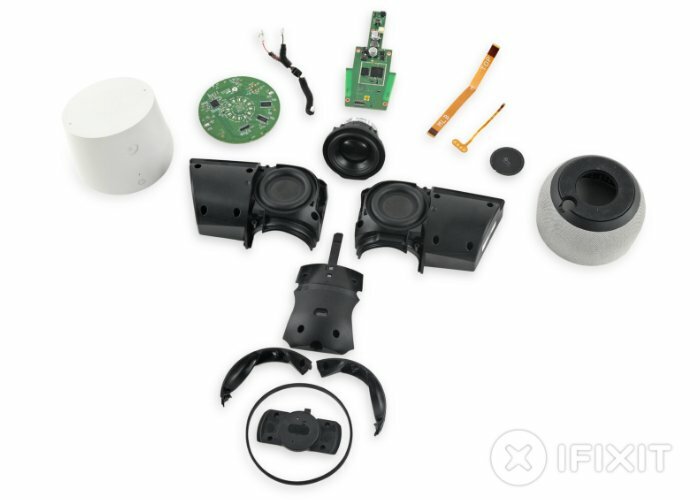 For the full Google Home teardown jump over to the official iFixit website via the link below.